Different states have different rules and regulations. 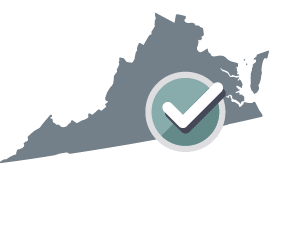 Your Hold-Harmless (Indemnity) Agreement will be customized for Virginia. Which state should I choose?Normally, the state is the place in which the parties to the agreement reside or where the property is located or the service is performed. Where legislation is similar, the choice of jurisdiction may not make a difference but in some cases there may be advantages to choosing one jurisdiction over another.What is the difference between a Hold-Harmless and an Indemnity Agreement?A Hold-Harmless Agreement is legally known as an Indemnity Agreement. Where a determination as described under Authorization of Indemnification concludes that the Indemnitee's behavior is not entitled to indemnification, this will not create a presumption that the Indemnitee is not entitled to indemnification under this Agreement. The courts of the Commonwealth of Virginia are to have jurisdiction to decide and settle any dispute or claim arising out of or in connection with this Agreement. IN WITNESS WHEREOF the Indemnitee and the Indemnifier have duly affixed their signatures under hand and seal on this 19th day of April, 2019. What is a Hold Harmless (Indemnity) Agreement? A Hold Harmless (Indemnity) Agreement is used between two parties (such as an employer and employee) to establish protection from liabilities, losses, claims, or damages for one of the parties during their involvement in an activity. Indemnitee refers to the party being protected in the agreement, and the indemnifier is the party who provides the protection. Indemnity refers to the protection or security of one party (the indemnitee) against a loss or other financial claim. Indemnity is often used in instances where having insurance is appropriate, such as a tenancy, consulting assignment, construction project, etc. When is a Hold Harmless (Indemnity) Agreement typically used? If a landlord allows a tenant to move in before the lease date (known as early occupancy), the landlord can use an Indemnity Agreement to ensure that the tenant is held to all the provisions of the lease, even though they are moving in early. If a business hires an employee or contractor, it can use an Indemnity Agreement to absolve responsibility for any injuries or accidents caused by employees or contractors in the workplace. Those who own high-risk or thrill-seeking businesses, such as amusement parks or skiing or sky-diving companies, may have customers sign an Indemnity Agreement to avoid being held responsible for liabilities due to injury or accidents that are not the fault of the business. If an individual has agreed to manage, host, or facilitate an event, such as a concert or charity fundraiser, he or she can request to be protected through an Indemnity Agreement in case of potential loss or accident. When hired by a business, consultants may have their clients sign an Indemnity Agreement to relieve them of any liability that might come from the work they produce. Does a Hold Harmless (Indemnity) Agreement have to be notarized? A Hold Harmless Agreement does not need to be notarized in order to be legally valid. However, various institutions such as banks have their own signing requirements and may refuse the document if it is not notarized, so it is important to check with the institution where the document will be used. When are Hold Harmless (Indemnity) Agreements not enforceable? An otherwise valid Hold Harmless Agreement may not be enforceable in some situations. For example: where the indemnitee was found to be negligent or the cause of any accidents, such as through faulty equipment, improper attention, or poor maintenance. Release of Liability/Waiver Agreement: This waiver form is used to release a party from any liability, whereby the other party cannot pursue a legal claim for compensation. 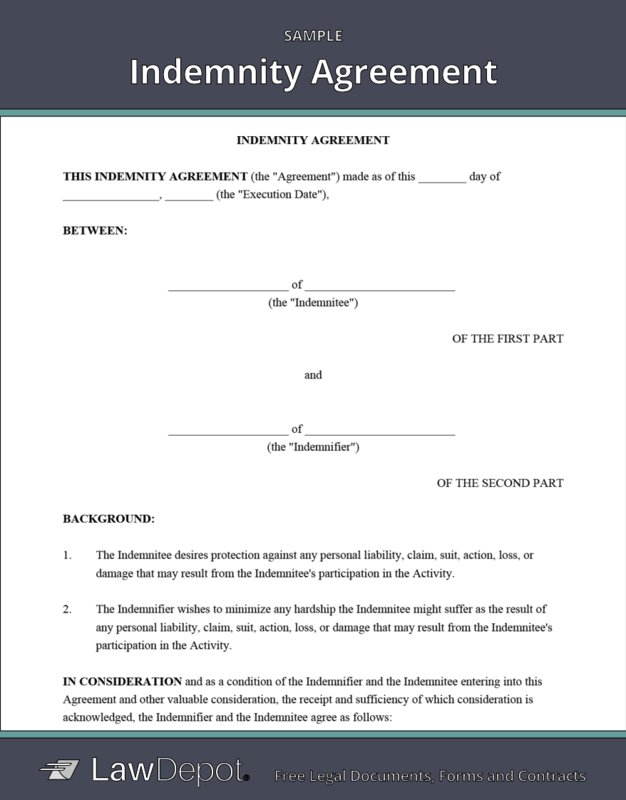 Personalize your Indemnity Agreement template.